The Sun Fire X4600 has Quad-Core AMD Opteron processors and has the power of eight processors into a small 4RU, energy-efficient system. InfoWorld awarded this server "Best High-Performance Server" for 2007. 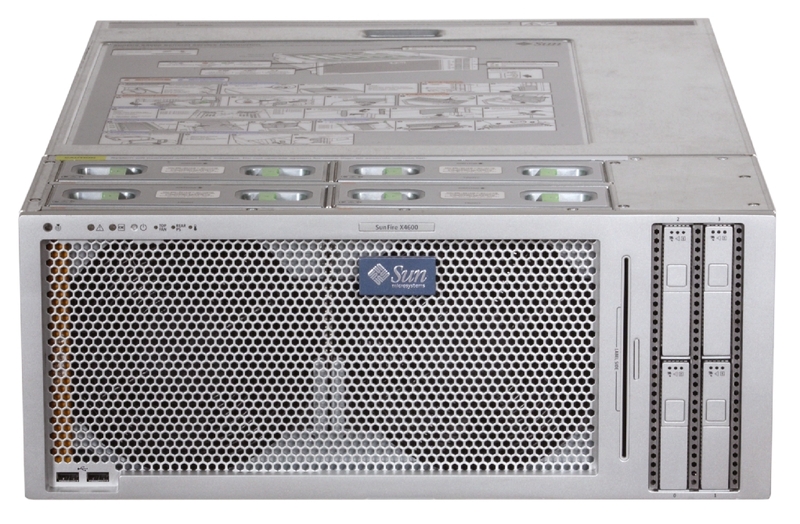 Whether you need new or used Sun Fire X4600, we have a large inventory and offer same-day shipping. Request a quote now on a used Sun Fire X4600, or contact us at info@vibrant.com or 888-443-8606 with any questions and price requests. CPU 2, 4, 6, or 8 AMD Opteron Processor 8000 Series dual core or quad core processors. Quad-core processors support AMD Dual Dynamic Power Management. For pricing on new or used Sun Fire x4600 servers, upgrades or parts, please contact Vibrant sales at sales@vibrant.com or call 888-443-8606 or 952-653-1700.